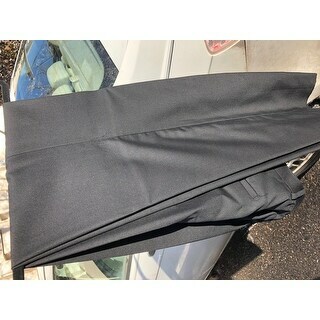 Excellent tux and very classy for the price. 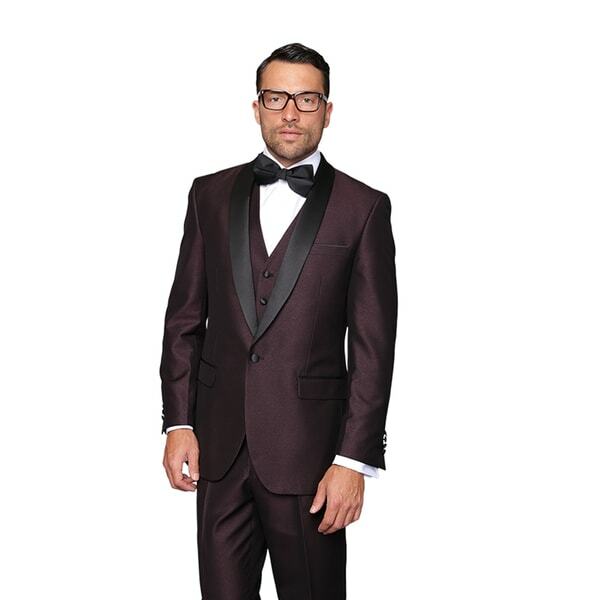 Be bold in this plum statement tuxedo from Enzo. This tuxedo features a jacket, vest and pants. The plum color is complemented by the black shawl collar. the picture looks nothing like the suit. the material is checkered and definitely purple. the picture looked more burgundy than purple. I purchased this 3-piece tux to wear to a formal wedding, and it will be worn again during the formal holiday party season. Unique shade - not too maroon. It's a deep plum, with a shiny sheen. Having it tailored down to a slim fit and will enjoy standing out in this. 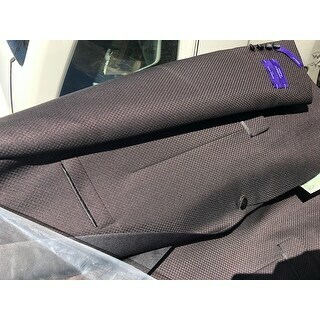 Bummed... "plum" Suit looks NOTHING like photo, color and texture is WAY off along with BLACK pants ? I don't know what else to say...I'll let the photos speak for themselves I guess. 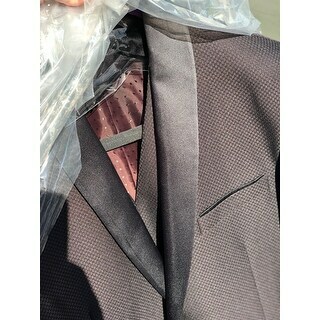 The photo online looks great and I thought that's what I would get...42 suit should not come with only 36" pants either... Overstock is sending a replacement, it will not get here before I need it but we'll see what the replacement looks like... -update- Received the SAME suit as the first go round, now I have two to send back. We bought this for my fiance to wear for our wedding. I was very sceptical after reading some of the other reviews. We were not at all disappointed with the tux! Fits perfect and looks amazing! So much better than we thought it was going to be. Very happy we purchased it. 3 stars is for overstocks customer service. Not at all happy it went on sale a day after it was delivered and they wouldn't match the sale price. Really ticked off beings it's a $70 difference in price. I find that to be very poor service not taking care of their customers. Bought this for my son for a gala! It was a beautiful TUX! He is tiny so we needed a slim fit, a few alterations and he was ready to go. Not your usual Black Tux! My fiance and I are getting married and he need a tux! "I see that you call this tuxedo plum, but the technical color is burgundy. Is this tuxedo more red or more purple?"